Solr is a standalone enterprise search server from the Apache Lucene project. It supports documents using JSON, XML, CSV or binary over HTTP. It provides the REST-based query and supports various formats like JSON, XML, CSV and binary. Solr offers an easy-to-use platform on which applications can be installed and run in a few minutes. Java 7 or greater should be installed. Download and unpack the latest Solr release from the Apache download mirrors. Started Solr server on port 8983 (pid=3208). 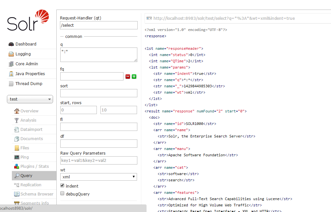 Happy searching with SOLR! 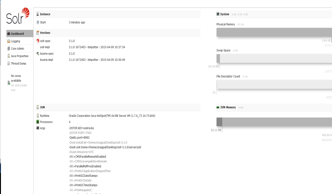 Solr runs by adding the Solr Admin UI in the main web browser. This is the main starting point for administering Solr. Once the Solr server is running, data must be inputted. Solr supports indexing-structured content in a variety of incoming formats such as XML, JSON, and CSV, with SolrXML being the predominant format. The XML files can be posted using the “bin/post” command, which will send the HTTP Post request to Solr as well as update the endpoint. The “bin/post” command can be used to post the contents to Solr, which are automatically indexed by Solr. Create one or multiple cores to allow for individualized indexing and searching. With the help of the core, data can be indexed with different structures in the same server. Post the documents to Solr through the following interface, which provides the options to post the content based on content type, along with other properties. The schema.xml file specifies the uniqueKey field called “id”. Whenever a command to add a document with the same value is entered, the server automatically replaces the data with the newly entered data. 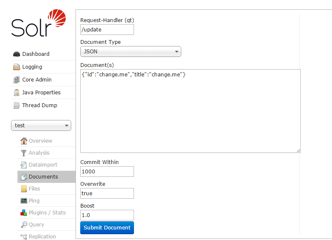 This can be seen by looking for the values of numDocs and Max document in the core specific overview section of the Solr Admin UI. bin/post -c <corename> -d "<delete><id>id1</id></delete>"
Queries can be made to Solr using either REST clients, cURL, wget, Chrome, or POSTMAN; queries can also be made using native clients available in many programming languages. To search for a term, give it as the ‘q’ param value in the core-specific Solr Admin UI Query section, and replace *:* with the term to find (ex. “name:james”). Hi sumit tnx for this awesome guide . you have a idea how to import core form (solr 4) to solr 5 with out losing any data. Simple, straight forward, precise and well documented.